Global Financier UBS have made a home at 5 Broadgate in Central London. This landmark project saw the creation of the largest and greenest commercial office buildings in the City of London. A highly complex project which required demolition and construction in a tight spot in the high density City, the finished product is a true poster for sustainable design. 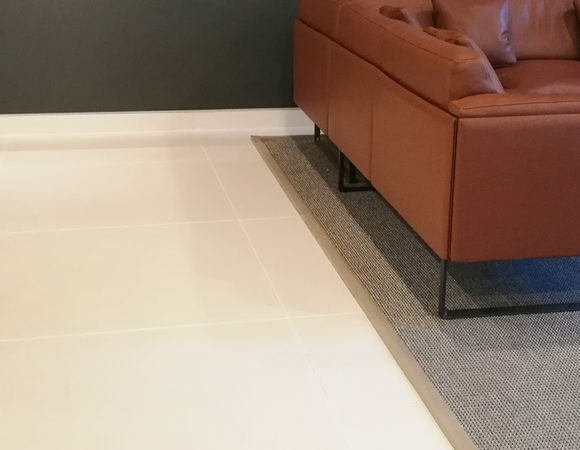 Eco Friendly Tiles have supplied hundreds of metres of large format tiles for floors and walls within this project, specified by TP Bennett. This project has been awarded a BREEAM Excellent rating which is a huge achievement for such a large and complex build checking in at 700,000 square feet. Sustainability is enhanced further by more photovoltaic panels than any other office building in London! We are thrilled to have been involved in this project and greatly admire all architects, designers and contractors involved for their commitment to a sustainable built environment.